Stuck In The Buckosphere: Sick of allergies! 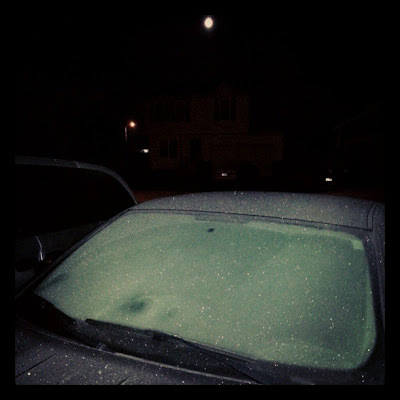 Quite a frosty start to the day today. One of our producers took this photo around 5AM on his way into work. 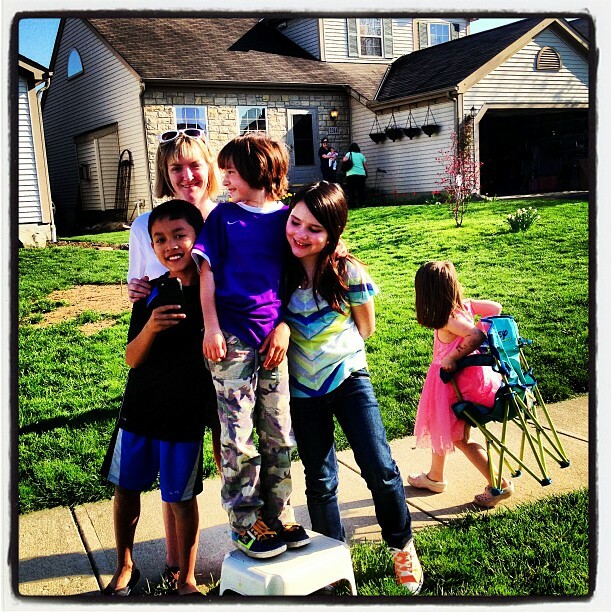 Monday I did a story on yard waste pick-up in Columbus switching to every other week. I drew quite the audience for the live shot for the 5 and 6PM news. 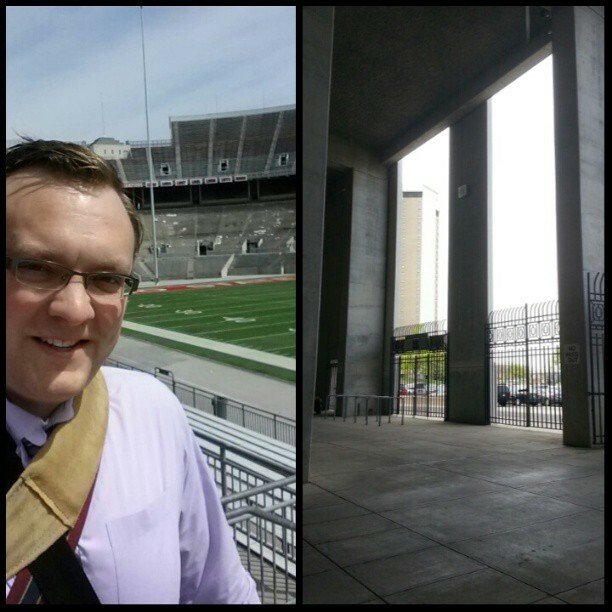 Tuesday I did a story on the renovations at Ohio Stadium. 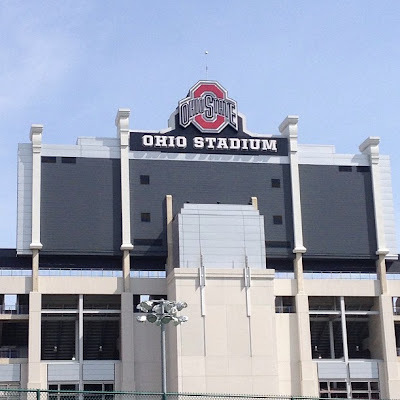 The spring game was moved to Paul Brown Stadium in Cincinnati, so I reported on why. There was a little disconnect between calendars since it was set up a few days in advance. That meant I got to hang out in The Shoe for an hour... no complaints! 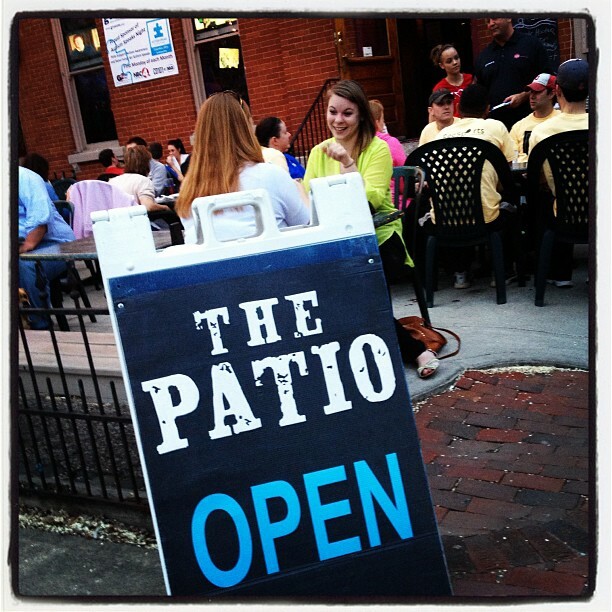 The good side to the warm weather is that all the patios are open. Great weather to hang outside.... but the downside... allergies. I have been taking Claritin D. Until yesterday. I was afraid I was having a sinus infection on top of my allergies. I went by the doctor and it was an eye opening experience. The decongestant in the allergy medication is made my blood pressure sky rocket. The doctor took several readings thinking that something was wrong. I told her that I had high blood pressure before, but nothing like this. I think the measurements averaged out to about 170 over 100... CRAZY high. I think I seriously need to make some life changes. The doctor said to immediately stop taking the decongestant and cut out all salt out of my diet. I have already been trying to exercise more, but I guess not enough. Either way, I see a lifestyle change is needed. And to think I was doing good by loosing a couple pounds this month already... I guess it is like getting your car fixed... something else ends up broken. Alright on to the weather... cool for the upcoming days, but we will slowly warm up. Rain showers push in late Saturday into Sunday, but it looks to be pretty light. Our temperatures will not cool off too much from that and we will continue to climb back into the 70's for next week. The models can't agree on timing of rain for the middle of next week, but plan on some pop-up showers/storms then. I will keep ya posted, but for the next several days it looks like Sunday will be the only wet one... and light, at that. Have a good one!